Painting by my nieces and nephews, Ella, and myself. 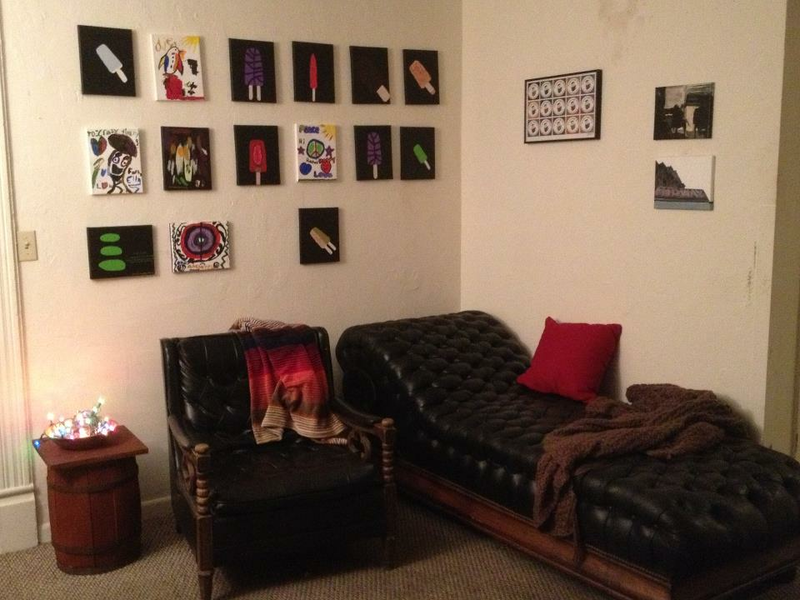 The psycho couch, a chair we got from Goodwill, and the Zombie Logic Press logo created by Bombadee. I found the little barrel downstairs when the gay and lesbian teenagers nonprofit moved out. Perfect for watching Antenna TV.